Neith, why u no have time to weave chothes?! Hello everyone! Amphirite here with yet another smite guide. Today's god/goddess, Neith, the Egyptian weaver of fate. She is the mother of a plethora of gods including Ra and Sobek (yes I know what you're all thinking). She is a minor godess of war and hunting (basically Athena and Artemis jammed together) and her weaving-death thingy is actually emphasized a little too much in smite. In mythology, she only gave mummy bandages to the dead as a gift, not to let them hang onto the straps like the breadcrumbs in Hansel and Gretel. There's not really much to say about her but let's get on with the builds shall we? The first build's name says it all. It allows for heavy ability damage however not so much when it comes to being a carry. As the build suggests, you will need a sustainable amount of mana (first with Mana Potion then by fully leveled Transcendence and thank god that the latter can now stack up more quickly). Titan's Bane provides penetration for those pesky hybrids as so does Jotunn's Wrath (I like to call it scrotum's wrath for its great passive). You can choose from the last four items in any order. I like to go with a Heartseeker and Deathbringer combo, but you can go for an improvement on your basic attacks if you want. The second build is your generic AD carry build complete with The Executioner, Deathbringer, and Rage. It allows for heavy basic attack damage but not so much for ability hits. Notice how lifesteal items are omitted from both builds leaving more space for the better items ( Unravel covers this). Well, this ends my Neith guide. In general, she's squishy, but powerful and is one of the only physical characters that work well as a caster. She easily traps people with her abilities and is the only true sniper of smite. Thank you for your time (this is probably the millionth Neith guide out there). Comments are always appreciated. For the Physical caster build, I can't help but wonder about the choice for Death Bringer. I was playing it and found I was relying on basic attacks so little that I wasn't benefiting from the critical bonus at all. Any of these drastically improved the output of Neith skills and any one of them is a huge gold saving over Deathbringer. The rest of Build 1 I love, considering the gold investment it has high sustain and offers a lot of support as well as a means of hitting hard with the Spirit Arrow->Broken Weave Combo. I've just started using Transcendence with Neith and it solves so many issues with her early game that I have started making it my first priority item, replacing the standard Death toll and Tabi. Keep up the good work, it'd be nice to see the guide expanded to include a discussion on the benefits of 9 second skill cooldowns and 54 second ult cooldown, as these really are the selling point of the build, and by and large places Neith in a fantastic support/hunter role rather than pure hunter. 31020 Serinn For the Physical caster build, I can't help but wonder about the choice for Death Bringer. I was playing it and found I was relying on basic attacks so little that I wasn't benefiting from the critical bonus at all. I suggest an alternative item, such as: (Focused) / Void Blade Frostbound Amulet Eye of Retaliation Any of these drastically improved the output of Neith skills and any one of them is a huge gold saving over Deathbringer. The rest of Build 1 I love, considering the gold investment it has high sustain and offers a lot of support as well as a means of hitting hard with the Spirit Arrow->Broken Weave Combo. I've just started using Transcendence with Neith and it solves so many issues with her early game that I have started making it my first priority item, replacing the standard Death toll and Tabi. 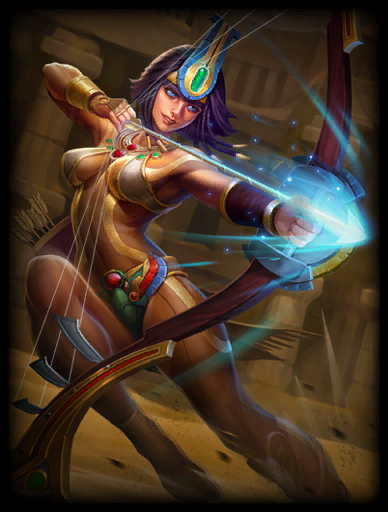 Keep up the good work, it'd be nice to see the guide expanded to include a discussion on the benefits of 9 second skill cooldowns and 54 second ult cooldown, as these really are the selling point of the build, and by and large places Neith in a fantastic support/hunter role rather than pure hunter.